This is not a fancy post involving lots of science. Well, maybe not lots. But whatever, there is, it is justifiable. Since moving to Dubai, I have been hard-pressed to find buttermilk here. I have tried using laban (a Middle Eastern yoghurt drink), which I was incorrectly told is a substitute. It comes close, but isn’t buttermilk as we know it the west. The Chef has warned me to give up my quest to get authentic commercial buttermilk here because the bacteria used is on the restricted list. The UAE has a much more rigid approach to controlling substances and many items (good and bad) that are easily sourced in the West cannot make through customs here. For the same reason, real vanilla extract is not available. But that is another story for another post. Traditional Buttermilk– derived from the process off making butter (in other words, the liquid portion that you see in your mixing bowl when you are making whipped cream and whipped past the optimal consistency and gone into the realm of churning butter. The fat separates from the liquid and floats to the top and dangles on your whisk never again to be incorporated. How do I know? Let’s just say I called it Vanilla Butter. Anyway, the liquid left over from the butter churning process is buttermilk and that is how it got its name. It is sour to taste and lasts longer than regular milk. Traditional butter had little specks of butter and is still used on this side of the world and made in homes in some regions. Methinks laban would fall into this category. Commercial Buttermilk– Now this is the stuff that Paula Deen is made of. It is commercially fermented with lactic acid bacteria (Streptococcus lactis) or if you are from Bulgaria, with a more tart Lactobacillus bulgaricus. 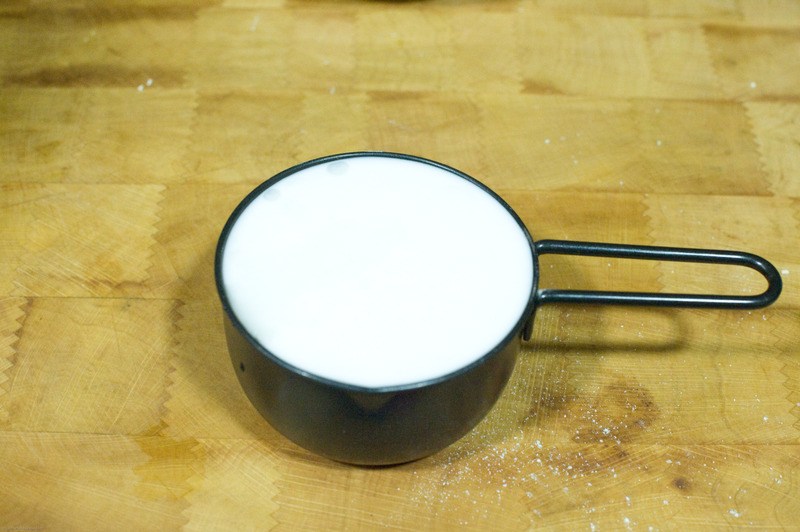 Acidified Buttermilk– This is the subject of today’s lesson. 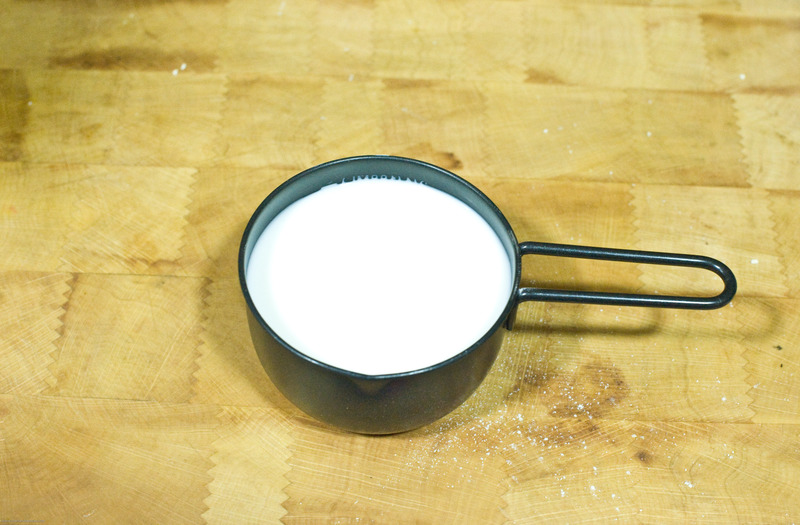 You can make this by adding vinegar, lemon/lime juice, or cream of tartar to whole milk. It produces a thick curdling sour buttermilk most similar to the commercial ones used in the West. Add 1 tbsp vinegar (or lemon juice or lime juice). 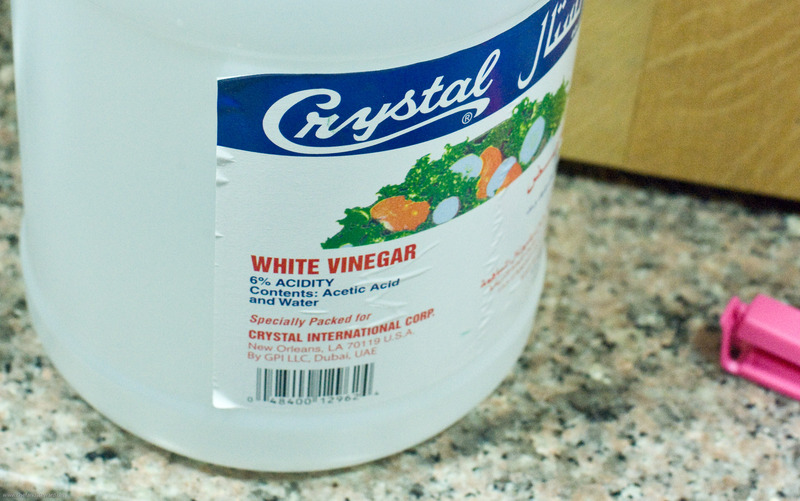 You may also add 1 1/ 2 – 1 3/4 tsp cream of tartar. Top up with milk and leave for a 10 minutes. That’s it. I am serious. It’s really that simple. Go make your own! This post is inspired by and submitted to our Chef and Steward Fresh Mystery Basket Challenge as an ingredient for our Day 1 entry. This was my first time making buttermilk but it certainly won’t be the last. 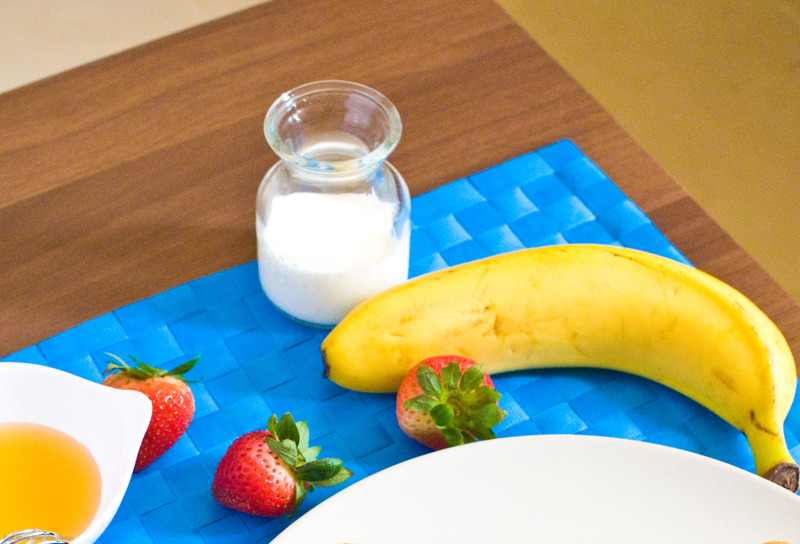 Coming up, our official Day 1 Entry: Whole Wheat Buttermilk Rose Pancakes. I do love the science behind making your own buttermilk by adding acid to milk 🙂 I hope it made whatever you were making absolutely scrumptious! Thanks Hester. It did! I knew I had to use buttermilk for the wholewheat pancakes to balance the flavours and texture. Will soon post our fun new recipe. Its funny you dont have buttermilk in Dubai. Here in Israel there is so much of it. When I first moved here I didnt know hebrew and ended up buying buttermilk instead of regular milk (they are side by side and have a cow on the box!) Needless to say it didnt taste too good with my cereal!!! Ha! I am sure you didn’t have cereal again until you figured out which one was really just plain milk! Lucky you with so much buttermilk. Do you have laban separately too there? I’ve used this method many times. It’s more convenient than buying a carton of buttermilk and letting it go bad. And really how do you know when it’s gone bad? Sandra, it certainly is, more convenient and budget-friendly, especially since you cannot buy 250ml/1cup in places where it is available. You can buy the same amount of milk, laban and cream here which is great for avoiding spoilage. I was thinking the same thing, I haven’t seen buttermilk since we moved here. Thanks for sharing this! I’ll be making some buttermilk fried chicken now in the near future. BTW, I gave you a blog award! Check it out! Ah, this is wonderful! I have one particular recipe that uses one cup of buttermilk–love the recipe, hate buying a pint of buttermilk because inevitably, half of it spoils! Now, I can make just enough buttermilk as I need for that recipe! Brilliant! My wife and I have lived in the Gulf since the early 80s. We learned years ago in Saudi Arabia that for buttermilk, there are but two options: milk + vinegar or citrus juice, whether lemon or lime, or laban. We’ve found that we like the results we get from laban — especially in cakes — more than we do the milk/citrus combination. As for the unavailability of real buttermilk here, I’m told the reason is that the bacteria that are used in culturing it are not allowed through customs in the AGCC. Now, I suppose there is another option: If you can get a couple liters of raw cream, you could churn your own butter and save the liquid, which is the buttermilk. I’ve never bothered to try.